I can not believe he's 5!! 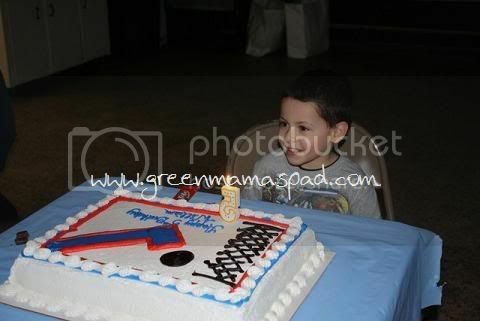 That means Gabe is almost 5! 5. Happy Belated Birthday to your little man!! That is a yummy looking cake! WOW 5 years old. Great looking cake. Happy Birthday. Five was the birthday that was the hardest - five isn't "baby" anymore! Happy Birthday! What a cute cake too! Aww! Happy birthday to your boy! !